I recently introduced Laura to the film Tremors, after making the shocking discovery that she’d never seen it. In doing so, I realised how great an example it is of a key storytelling trick – try fail cycles. In case you’ve somehow missed this cinematic classic, Tremors is a 1990 film about a small town under attack by giant burrowing worms. Starring Kevin Bacon and Fred Ward as handyman heroes Valentine and Earl, it’s a film that I love not because it’s masterful or innovative, but because it’s so much fun. It uses a horror structure, but lacks the dark atmosphere of horror. It has a humorous tone, but isn’t a comedy. The characters are clichés, but together they’re an interesting mix. The climax features one of the most hilariously in-your-face ropey special effects shots I’ve ever seen. It’s as if Frank Herbert’s worms from Dune escaped to hunt down that guy from Footloose, and exactly as serious as such a film would be. I love it. Try fail cycles are an important part of plotting stories. They consist of a character repeatedly trying to achieve a goal, and repeatedly facing setbacks, until they finally get there. Those failures are what make the final success feel rewarding – after all those struggles, the character and their plan have grown, and there’s real tension around whether this attempt will succeed. Given that we know that heroes usually win in the end, it’s an important way of creating doubt about the outcome. In Tremors, those cycles are really clear, and they show how the pattern can vary. In the first act, Valentine and Earl make repeated attempts to leave town, for a variety of reasons. Every time they are stopped in their tracks. Their eventual failure is what keeps them in town for the film, and for one final escape attempt in the last act. In the second half of the film, once the monsters are on display in all their rubber and gunk glory, we see two try fail cycles from the townspeople. One is them trying to get to a place of safety, as one option after another at first works and then fails. There’s the same pattern with their attempts to kill the worms. They try, they succeed, but then something means they can’t follow the same approach. It’s not just a cycle of try then fail. It’s a cycle of try then succeed and then fail, which creates strong emotional peaks and troughs. We celebrate the successes and bemoan the failures along with Valentine, Earl and the rest. Finally there’s the romantic arc, as Valentine tries to work out how to communicate with geologist Rhonda. It’s much less prominent, and less obviously a repeating cycle, but it’s there. Valentine faces his own awkwardness several times, all under the amused eye of Earl. It’s a reluctant try fail, in which Valentine fails toward realising what he wants romantically and how to make it happen. Sometimes it takes an unsophisticated story to expose the clever tools writers use, and Tremors is one of those occasions. If you haven’t seen it then go watch it – I’ll still be here when you get back. And maybe share your thoughts on the film or try fail cycles in the comments below. I love it when I get a chance to learn writing tricks from other media. Something like dance, music or painting can often provide different approaches to art that take me in new and fascinating directions as a writer. Points in a plot should be connected by implied ‘therefore’ or ‘but’, not just ‘and then’. This creates cause and effect, not just events that could happen in any order. It’s often worth having two stories going in parallel, and switching out of each as it reaches its peak of interest, rather than leaving it for an emotional slump. Rather than writing any more here, I’ll recommend that you go check out Every Frame A Painting, starting with this five minute piece on Orson Welles’s F for Fake, from which I drew the lessons above. I love science fiction movies. The joy I take from their combination of interesting ideas and cool spectacle mean that I’ll enjoy some pretty shallow stuff. But in the past week I’ve belatedly watched two films that combine sci-fi awesomeness with real depth and incredible style. That makes me incredibly happy. Before we go any further I have a confession to make – I’m a little bit in love with Snowpiercer‘s star Chris Evans. I know, I know – I’m married, straight and live thousands of miles from Hollywood. But dammit, I cannot get enough of that guy. He was a cool Johnny Storm in Fantastic Four, a wonderfully obnoxious Lucas Lee in Scott Pilgrim Vs. The World, and even made Captain America into my favourite big screen superhero. I’m British, proudly European and intensely suspicious of patriotism, yet he made me cheer for the guy wearing the stars and stripes. He is the king of comic book movie adaptations. His presence alone was enough to make me watch this one. Evans does put in another good performance, as do the many talented actors in the cast. But that’s not what made me love this film. What did that was the incredible sense of style. Set in a post-apocalyptic future in which the surviving humans live on a giant train, Snowpiercer is incredibly visually striking. The interiors of carriages are distinct and fascinating, the costumes evocative, and it’s full of stylishly shot moments that enhance rather than distract from the plot. The plot itself is a story of class struggle, in which Evans’s character Curtis leads a revolt against the oppressive upper class living in luxury at the front of the train. There’s meaning behind the action. This isn’t a simple Marxist polemic encouraging us through metaphor to strike off the shackles of oppression. As the story progresses it examines the cost and value of such a revolution, and asks whether it can ever succeed. Yes, it’s all obviously symbolic, but that’s no bad thing. Films should mean something. I’ve only dabbled in watching anime, but I’d still heard enough about Ghost in the Shell to know that it would be worth my time. A near future detective thriller, it’s about a cyborg cop trying to hunt down the criminals hacking people’s brains. Like Snowpiercer, Ghost in the Shell alternates scenes of incredible action with stretches of stillness and contemplation. It doesn’t just give the viewer time to catch their breath, it forces them to stop and contemplate what’s going on, as the animators present us with stunning visuals of rain-soaked streets, showing that there’s a wider city and society beyond the immediate action, and that the lives of other people in that city matter too. Given its cast of cyborgs, robots and hacked brains, Ghost in the Shell inevitably raises questions about what it is to be human, and where the boundaries of humanity lie. Can a robot really be a person? If we could hack brains, would that reduce us all to machines? It doesn’t hammer the point home too often, but even its action brings the question forward, as characters we think of as people go through things no human body could. Made eighteen years apart, these films have only come together in my mind because of the accident of watching them in the same week. But they both show such style, depth and excitement that they reminded me of how good sci-fi films can be, and that for all the shallow blockbusters, sometimes there are deep ones too. Festive fantasy movie time? Bring on the Muppets! With Christmas coming, it’s time to watch my all time favourite fantasy film. More dramatic than Conan the Barbarian. As heart-wrenching as Pan’s Labyrinth. Only a fraction of the length of Lord of the Rings. I refer of course to Muppet Christmas Carol. I’ve made my case before for Muppet Christmas Carol being a fantasy film, but to recap, there are ghosts, talking animals and whatever Gonzo is. There’s magic, prophecy and travel through time. There are alternating potential realities. Sure, it’s also a kids’ film, a comedy film and a musical. But this is quite clearly fantasy, and proof of how misguided people are when they try to treat fantasy as some nerdy, shameful thing to brush away into the corner. Fantasy happens any time we break the rules of reality and let our imaginations run riot, and just because something doesn’t feature swords and sorcery doesn’t mean it isn’t worthy of the label. It helps that Dickens’s Christmas Carol is a beautiful yet creepy story with a classic redemptive character arc. It helps that the Muppets are timeless characters of whimsy and wonderful design. It helps that the tunes are delightfully catchy. But it’s when you bring all of that together that the magic really happens. If I only watch one festive film, it will be this. If you aren’t already, you really should make time in your Christmas schedule to watch it too. What festive classics will the rest of you be watching? I bet most of them are fantasy. Sometimes a film comes along that, whatever its merits, so perfectly captures something about your own life that you love it. Maybe it portrays your job, or your family, or that awkward relationship you were in when you were young. I just found one of those films. 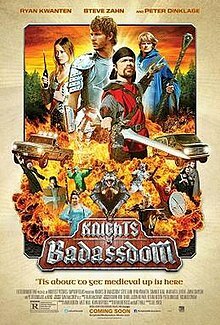 Knights of Badassdom is a comedy/horror/action/fantasy film about a group of live roleplay (LRP) gamers whose imaginary fantasy world gets invaded by a real and terrifying monster (if you aren’t familiar with LRP, there’s a good explanation here). As someone who’s spent years dressing up and running around hitting people with fake swords, and a Peter Dinklage fan, I was bound to watch this sooner or later. Unsurprisingly, I loved it. Lets be clear – this is a film about geeks that laughs at the geeks. But that’s in the nature of comedy films – the characters are going to spend a lot of time looking foolish. What won me over, and convinced me that the film’s heart was in the right place, was the portrayal of LRP. The game we’re shown has the exact combination of naffness and awesomeness that has been the heart of most of my LRP experiences, and is why I love the hobby. There are cool costumes, but there are also t-shirts under armour, missing props, and coke cans weighing down the corners of the magical map. There are heroic speeches, and others that fall flat. There’s action and drama interspersed with pratting around. The conversations see in-game dialogue interspersed with out of character jokes. People’s real lives and their game lives intersect in messy ways. There’s even a jokey in-game name for the car park, in the same way that many people I know refer to a particular supermarket near a LRP site as Asgard. I should be clear – not all LRP is like this. Go to a Profound Decisions event and you’ll see something far classier than in Knights of Badassdom. But that doesn’t detract from the joy I’ve taken over the years in those slightly naff games, where the out of character jokes were as integral to the fun as my sense of immersion in an imaginary world. And the characters – they aren’t a perfect cross section of LRPers by any means, but they are a familiar bunch. There’s the guy who’s just there to hang out with his mates, and who’s really more interested in music and his love life than the game. There’s his buddy who spends the whole time high, drugs fuelling his intense and somewhat insane roleplay. There’s the one who’s more interested in the rules and experience points than acting out a role. The event runner who can see amazing and varied worlds in a bunch of nondescript clearings, and whose enthusiasm drags his friends along for the ride. The character who’s all about the fighting. The actor who’s there to play a role. Even the intolerant outsiders who mock the LRPers while indulging in their own obsessive and equally silly hobby. If I have a problem with the film, it’s that women are under-represented in the speaking roles. But while the gender balance in the hobby is getting a lot better, there are still games where the cliché holds, with a bunch of blokes and very few women. And the film-makers balanced this up at least a little with the extras. On wider issues of representation, the presence of a dwarf, a character in a wheelchair and a couple experimenting with polyamory, all without comment or judgement from the other characters or the film’s plot, struck me as relatively enlightened by Hollywood standards, and representative of the accepting environment that LRP fosters. I have no idea how LRPers in general have reacted to this film, whether it’s with excitement at being represented or horror at the way we’re represented. But for me, it was almost perfect. Even the slight naffness of the final act’s villain and conclusion, though not part of the LRP, felt fitting for a film set within the hobby. It would be hard to better capture what this hobby has always felt like to me, why I love it, and why for many years I felt embarrassed about it. Because LRP, like this film, is often a bit naff but almost always a lot of fun, and far better if you don’t take it seriously. Kind of like life, I guess. Female Superhero Movie Franchises: What Would Ellen Ripley Say? When I was eight years old, my parents gave me a copy of The Lion, The Witch, and the Wardrobe. I devoured the story, identifying with the plucky character of Lucy. I then went on to read A Wrinkle in Time, and got drawn in to the world of Meg Murray, who was geeky (like me) and who saved her brother from evil. And I knew: science fiction and fantasy were written for me. This was a genre where girls could save the world. When I was ten years old, I played with She-Ra: Princess of Power dolls, because other dolls were downright boring next to ones who could use swords and magic. I watched the various incarnations of the Justice League and Marvel characters on television and pretended that I was a superhero like Wonder Woman. When I was twelve years old, a movie came out that I wasn’t old enough to see yet. In this movie, an ordinary woman fought against the odds to save humanity from aliens. The movie went on to spawn several sequels, and the female lead became a hugely popular character. Her name was Ellen Ripley. And the year Aliens came out? 1986. Fast forward twenty-eight years later. Count ’em: Twenty-eight. 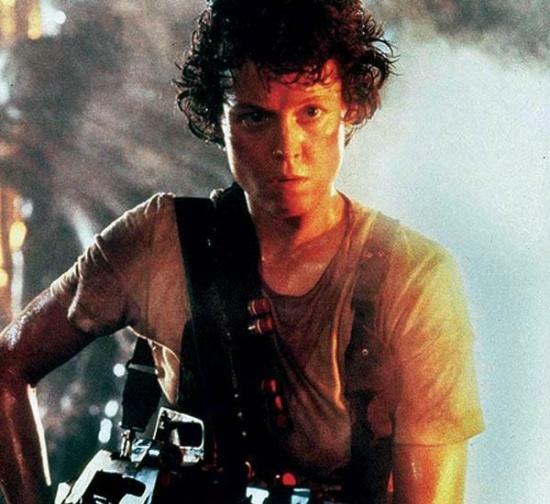 We are in 2014, and since Ellen Ripley, I have not seen another adult female character leading a movie franchise in the speculative fiction genre. (The closest thing so far is The Hunger Games, but it’s aimed at more of a teenage audience.) Frankly, I’m tired of waiting for another one. What happened? There certainly hasn’t been a lack of trying by those who understand that this genre is for women as well as men. Joss Whedon of Buffy the Vampire Slayer fame was slated to helm a Wonder Woman film. Joss Whedon and Wonder Woman! Alas, that movie never got off the ground. And now we’re left with DC introducing Wonder Woman as a secondary character to Superman and Batman in their next superhero film. Apparently the studio thinks my favourite Amazon is just not strong enough to have her own movie. Which is ridiculous. I love the Marvel movies, but I’m disappointed that they aren’t making definite moves towards a female-led superhero film. Instead, we’ve had female characters who are part of a team: Black Widow, a female assassin in a bodysuit who has no superpowers; and Gamora—wait for it—a female assassin in a bodysuit who has no superpowers. 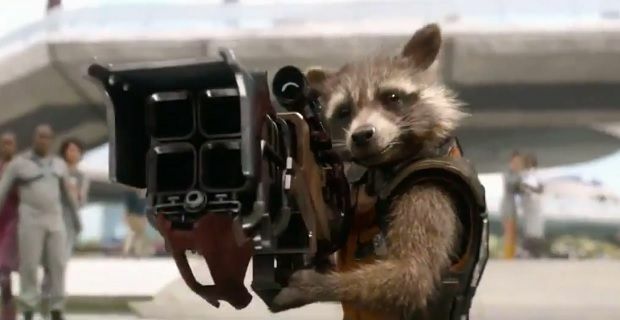 Black Widow was done well, while Gamora had an underused backstory and was upstaged by a sarcastic raccoon and a talking tree. Neither of these women were leads. I’m tired of looking for small victories. When will we get a movie about Captain Marvel? Or another Marvel female character who is just as powerful as the men? And I don’t mean a female character who is based off of a powerful male one. Marvel’s announcement of a female Thor being introduced in their comics annoyed me. I would have no issue with Sif taking up the hammer of Thor and wielding its powers as herself. But for the woman taking the hammer to be called Thor? This is insulting. Other characters have taken up Mjolnir in the past and gained the powers of Thor, but they kept their names. Why does the woman have to lose hers and be called Thor? It reminds me of Batgirl, Supergirl, and all of those other characters that were derived from male ones. Is Marvel afraid of developing a new standalone female character? That’s just sad. I’ve heard all of the arguments about why a female-led movie franchise is not being made. And none of them make any sense. What I’d pay money to see: Ellen Ripley facing down the leaders of The Company, also known as Hollywood movie execs. I can only imagine what she would say. In the meantime, I’m off to watch my copy of Aliens. Which female-led shows have you enjoyed? Who would you like to see on the big screen? Thank you to Sue for the post. If you enjoyed it then please go read more of her views on the Doorway Between Worlds. Superhero films and the comics that spawned them are famous for their traditionally white male fan-base. It’s a fan-base to which the creators play, with the vast majority of superheroes, and particularly the high profile ones, being white men. This raises issues for the balanced representation of gender and race and for the diversity of perspectives possible within these stories. It becomes even more problematic as these stories reach out to a wider audience, perpetuating norms of white male cultural dominance. But why is this so common? And is an opportunity for change being squandered? To read the rest please hop on over to Curnblog. And while you’re there I also recommend Anthony Pilloud‘s ‘The Fallibility of Superheroes‘, an interesting article on the troubling moral structure of the Marvel universe. For more on issues of representation you might also want to check out this rough transcript of a panel R A Smith was on at LonCon. And if you have any thoughts on the subject or links to other interesting articles then please leave a comment.